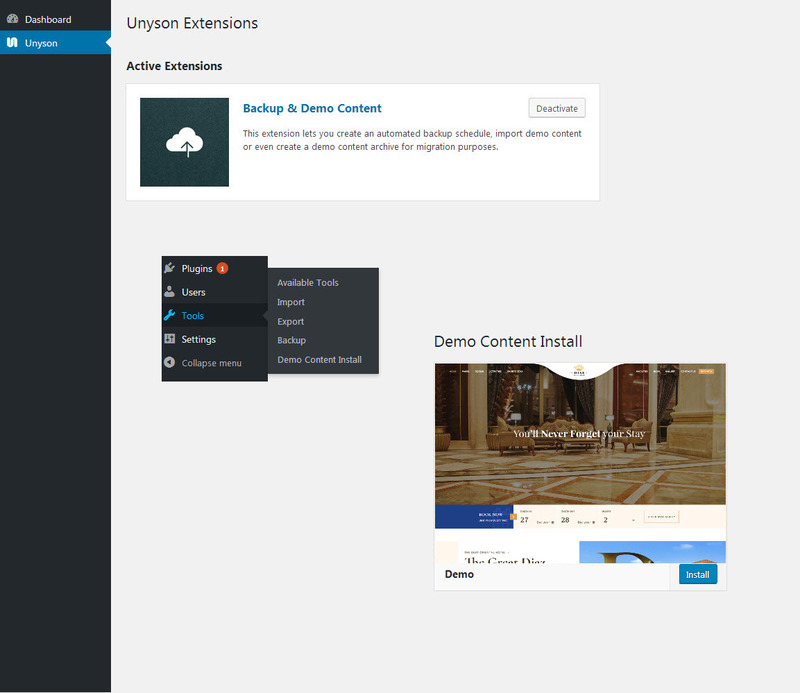 Install and activate these plugins before you proceed: Designtheme Core Plugin, Unyson plugin, Revolution Slider, Layer Slider and WooCommerce. Woocommerce is only needed for an online shop. Navigate to the Tools > Demo Content Install > Select the demo Content > install . Please be patient, as it may take few minutes to import everything. Once it is completed, It will be redirected to home page with the demo contents, Installed successfully. While importing demo content, if it takes more time, the user login session may expire sometimes. Kindly login with in the login pop up to countinue the importing process.